Want to change your life and enhance your career? Instead of just setting personal goals, why not make this year the one where you’ll also create an action plan for your career goals? It’s never too late. 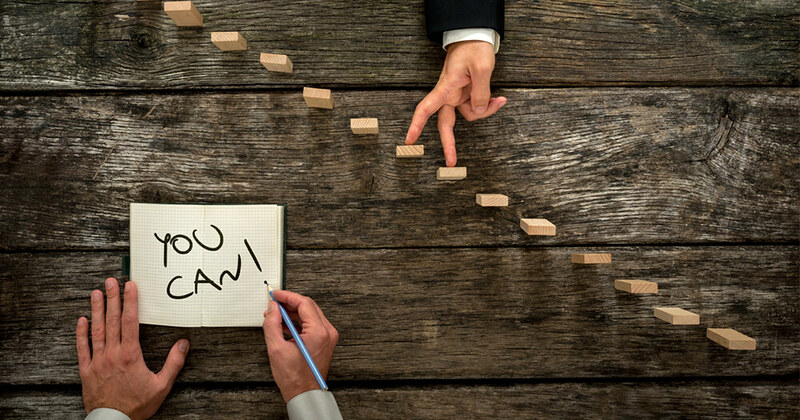 Whether it's short-term or long-term goal you've got in mind, an action plan can serve as a road map to achieving your personal and professional career goals. It does this by motivating you to take an effective course of action that will put you on the path to success. We’ve pulled together this comprehensive guide to help you set your professional goals and stick to them. Why is it important to set career goals? Whether in the short-term you want to become more organised at work, or in the long-term you want to develop your skills, to put you on track for a big promotion, having goals in your career is essential. This quote from Bill Copeland captures the importance of setting goals. Without them, you simply don’t know what you’re working towards. Therefore, no matter how much, or how hard you work, it doesn’t mean anything, as you’re not heading anywhere. Clarity – Outlining your goals can give you an end point to focus on and work towards. Focus – With your work goals set out in front of you, you now know exactly where to target your time and effort. Achievement – Setting goals can give you a motivational push towards achieving more than you perhaps even thought was possible within your career. Accomplishment – When you complete a goal, however big or small, you can feel a big sense achievement, which can motivate you and push you on even further. Setting your goals is the first step towards achieving the career you want. In most cases, it requires backward planning. This is where you decide where you want to be at a certain point in your life and then work backwards, to plan how to get there. Start by simply taking a few minutes to ask yourself what you want to achieve in the upcoming year, in 3 years, 5 years and longer-term. Need some help? Think about what you’re good at, where you could improve, what you enjoy and what aspects of your career are most important to you. Specific – Having a goal is a good start, but to really make it a reality, you need to break it down into smaller actions. These act as stepping stones towards achieving your overall goal. 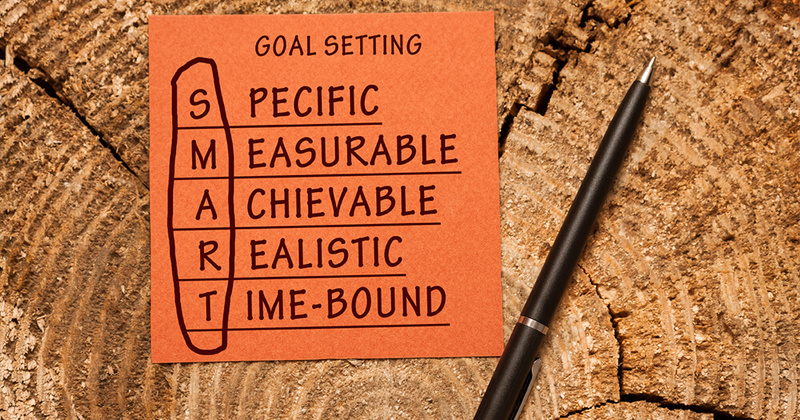 Measurable – Make sure you can track your goals, so you know when they’ve been completed. For example, if you want to improve your communication skills, how will you know if you’ve achieved this goal? One option is to break it into measurable steps, which you can tick off as you do them, such as simply speaking up in your next meeting and then working your way up to speaking at an upcoming event. Attainable – Make sure you set goals that are actually obtainable. Otherwise you’ll find it very difficult to get started. You’ll also find it easier to stay motivated when you know your goal can be reached. Relevant – Make sure your goal is relevant to you and is the direction in which you want your career to take. Don’t set a goal because that’s what someone else’s goal is. Make it relevant to your own experience, skills and aspirations. Time-bound – Make sure you set a schedule for when you want to achieve your goals, so you have a deadline to work towards. Don’t forget that sometimes things do change though and so in these situations, don’t give up. Instead, be flexible and adapt to the situation. 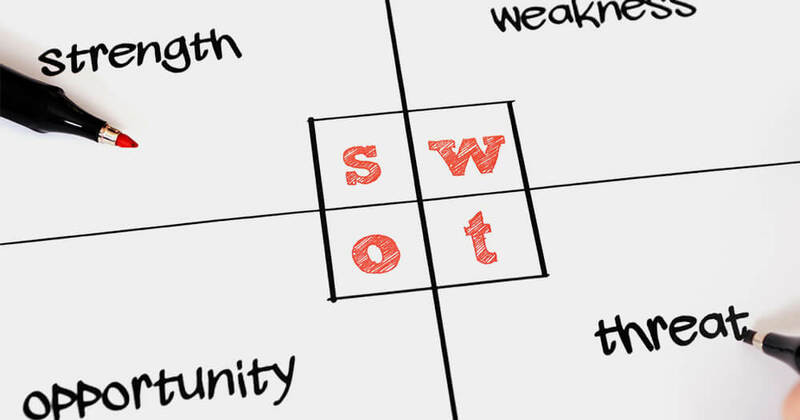 What is a SWOT analysis and how can it help me? 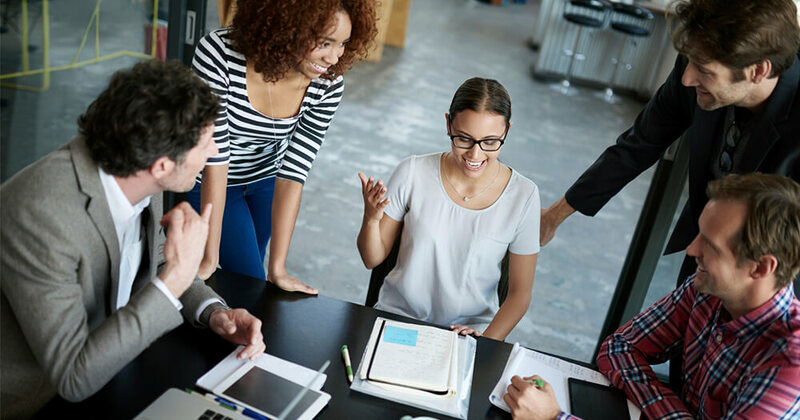 Many may know a SWOT analysis as a planning method used by businesses to evaluate strengths, weaknesses, opportunities and threats, for projects and competitors. However, few people realise that a personal SWOT analysis can also be used in a individual context, as a realistic self-assessment. Begin by identifying your personal strengths. Imagine you are going to an interview and explaining to the interviewer what you are good at, what other people may see as your strengths and what skills set you apart from other candidates. Next, look at your personal weaknesses. These are areas that you need to improve upon, or that may set your career back. Think about whether there are any tasks at work you try to avoid, what other people would say your weaknesses are, or whether you’ve had any negative feedback recently. Think about external factors that you may be able to take advantage of in order to achieve your career goals. For example, is your industry currently growing, are there new technologies that could help your business, or perhaps sudden demand for a specific skill? Finally, think about the factors that could get in the way of you achieving your career goals. For example, is your business changing direction, are there new requirements that could get in the way of you achieving your goals, or perhaps there are professional standards that you cannot meet. Put it on paper – Firstly, write down your goals. Although this may seem small, it can help you cement your vision and it means you can’t simply forget what your goal is. Action plan – Take your goal and break it down into smaller, more manageable actions, each with their own timescales. Announce it – Although you may feel shy about talking to others, consider telling your friends and family what your career goal is. You will not only get their support, but it may also spur you on even harder to achieve your goal. Schedule it in – Many people don’t achieve their goals because they don’t have time, so make sure you make time! Ensure your goal is a priority by putting the required time aside in your calendar. It’ll be worth it! Assess your progress – Keep reviewing your action plan. Cross off each step as you get there, which can make you feel motivated and help you see that you’re moving towards achieving your overall goal. Stick with it – Achieving your goals may take time, so make sure you don’t give up. You may also face obstacles in the way, but the important thing is to stay motivated and keep going. Restart – Achieved your goals? Don’t just give up there! Make sure you set your next goals to keep pushing your career forward. Why not get started by running your own personal SWOT analysis? Map your career goals with your free template, available below.